Anything can be served on your dinner plate these days. 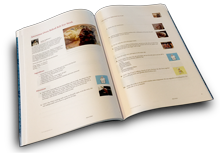 Inside this cookbook are so many delicious recipes to choose from. Appetizers to main dishes, snacks, soups and more. This is one of many delicious recipes you can enjoy! Get out your dinner plates and get cooking! Thank you JAP Cooks for your recipes! I am glad you like the recipes/book. It is a honor to include your recipes. Hugs. I was glad to include your recipe. You should be honored my friend, this is a great recipe, I was honored to use it for my cover and include it in the cookbook, many people will be enjoying this recipe. Keep those recipes coming,I enjoy them. Sorry I am responding now, was sick, you r so welcome, I was happy to include your recipe. Another great book, Eileen...thanks for including me among these great cooks! Hugs!! Eileen, thank you for using my EASY SKILLET GARLIC CHICKEN in your cookbook and on the cover--wow! I am honored! I hope you enjoy the recipes, I was so happy to include yours. Enjoy! Thank you for including my recipe in you wonderful book.